5. Next you need to go back to Driver Reviver and then place your cursor in the text box beside ‘License Code’ and click the Paste button. 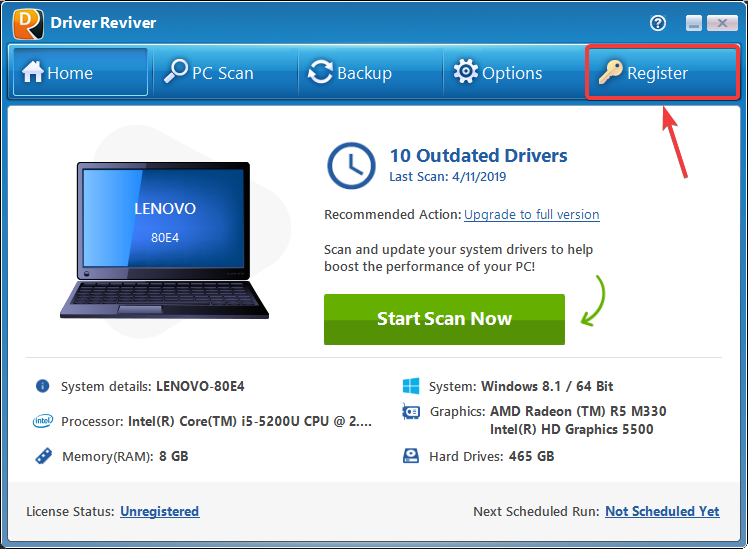 You can also right-click and choose the Paste option or hold down the ‘CTRL’ key and then press the ‘V’ key to paste your license code. 6. 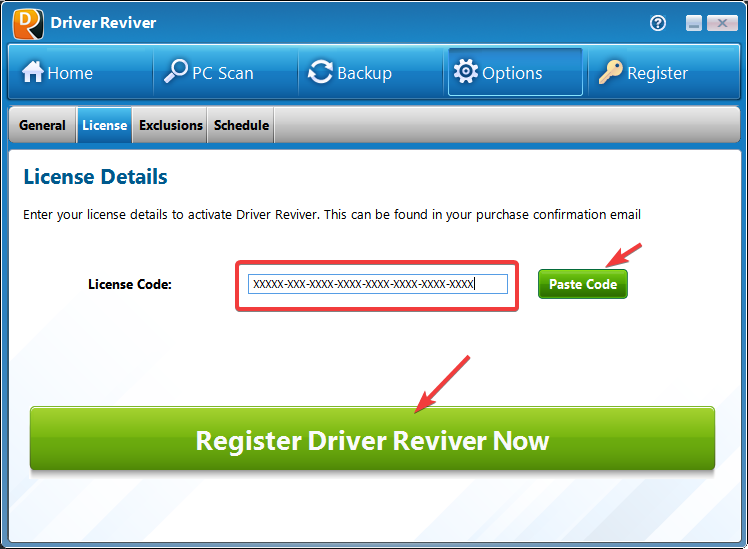 After you have successfully copied and pasted the ‘License Code’ into the product, all you need to do is click the button that says ‘Register Driver Reviver Now‘. Congratulations! 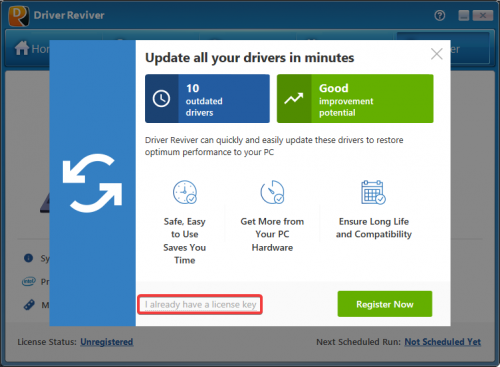 You have successfully registered the product. You will notice that the ‘Register’ icon will no longer appear in the top menu bar. 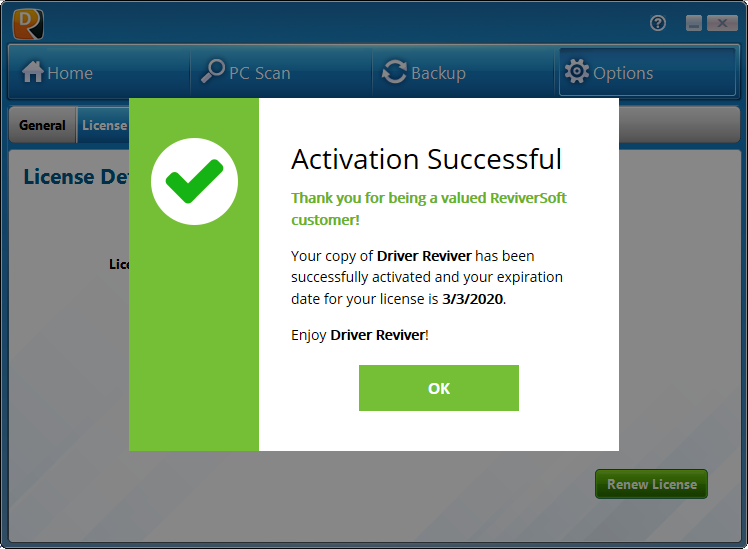 You can now view your license details by clicking the Options button on the top menu bar and selecting the License tab. Enjoy your use of Driver Reviver!